Toon's Tunes : Blackalicious, touring, new album for pre-order... sounds good. Sounds really, really good! Blackalicious, touring, new album for pre-order... sounds good. Sounds really, really good! 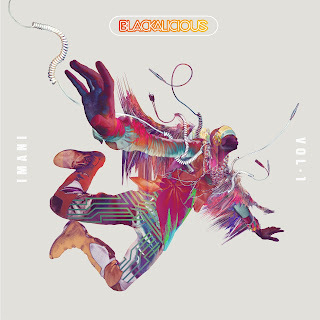 Local guys, Blackalicious, are heading off on a national tour, with their new album, Imani, vol 1., due for release September 18th. They headlined at this year's Concerts in the Park a couple of months ago (how did this summer go so fast, kids are already heading back to school), and now... the nation's going to see them too, beginning tomorrow in Orlando, Florida, passing back through Sacramento with a stop at the Boardwalk in Orangevale on September 11th, and ending up in Seattle on September 27th... with a whole load of dates in-between. And then they're off to tour Europe, too. You can preorder your copy of Imani, vol. 1., first album from Blackalicious in ten years, on their website You'll recieve a free and immediate digital download with your order... and other treats. Look and listen and find out more. Imani, vol. 1 is the first in a trilogy of albums: there's more where this came from. I love their fusion of rap, hip-hop, reggae, African/Middle Eastern rhythm/words/sound, funk... They are special. Take a listen. Look out for a few guest appearances, too. It's going to be a very cool album. "Imani" means faith in Swahili. We all need some of that.